An interesting and somewhat dangerous situation developed mid air aboard Air India flight when the captain was locked out of the cockpit after returning from toilet-break. Flight AI 403, which was travelling from Delhi to Bangalore, was diverted to Bhopal Airport on Monday. "The captain left the cockpit for a short while to visit the toilet and on returning to the cockpit found the door locked. 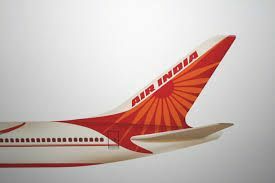 The door had got jammed and all efforts to open the door even from inside by the co-pilot failed," an Air India statement said.